Best All-Around 2015 Gear of the Year. If you’re looking for a very stable, non-inflatable yoga / all around board to paddle mid-range distances then the Joyride Flow from Boardworks is worth taking a look at. This stand up paddle (SUP) board comes in the EPX-V construction which is moderately durable and has its ups and downs. The board is very stable due to its width of 33 inches and its construction comes at an average weight coming in at 2.82 lbs per foot weighing 28.01 lbs. Its shape makes the Joyride Flow best suited for stand up paddle yoga or all-around paddling and is suitable for everyone to enjoy. Its construction and shape combined best fit this board for mid-range distance paddling between 3 and 5 miles max. Retailing at $1,099 the board is in the mid-tier market in terms of affordability. On first impressions, the graphics and color are stunning, the shape design is very thoughtful and the construction strikes as durable. The Joyride Flow looks gorgeous coming with an exceptionally beautiful play on color and graphics intended to be potent and yet with class. 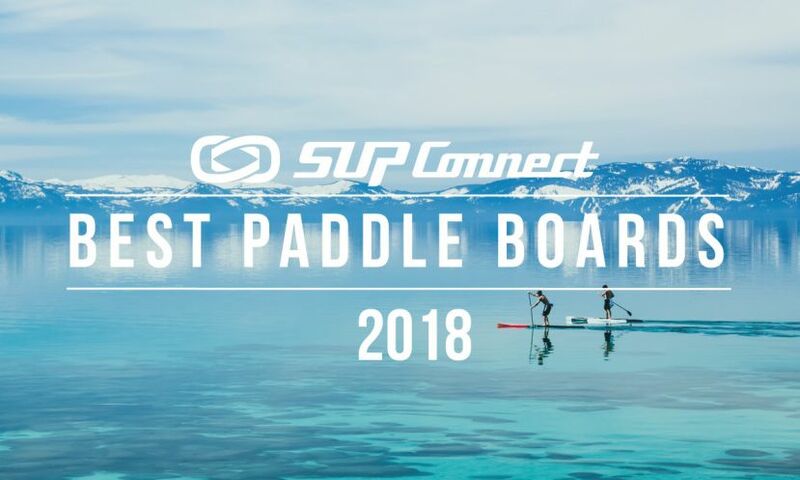 The shape design is thoughtful, unique for boards in these categories, offering features tailored primarily for SUP yoga and the construction does appear to be quite durable as something that can handle constant but delicate use. The deck pad conveniently doubles as a yoga mat for times when you want to practice your yoga on the water and has bungee tie downs that are perfect for holding gear while you’re on the move. This paddle board is easy to carry due in part to the LiftSUP handle as the main holding point in the board. The glide feels slow which is to be expected since this board was designed primarily to be used for yoga. And once you put it all together, the Joyride Flow is very stable so anyone who can walk should be able to easily stand on it and paddle away. 9'11 x 33" x 4.75"